A healthy breakfast contains two or more of the four core food groups: Grains, proteins, fruits and vegetables. Whole grains provide carbs to fuel activity and also feed the brain to help kids think clearly in school. They also provide fiber to keep the digestive system running smoothly. Protein supplies the amino acid building blocks for repair and growth which is especially important when kids are growing so fast. Fruits and vegetables provide fiber, vitamins, minerals and phytochemicals that keep the cells in our body in good repair and protect the body from disease. 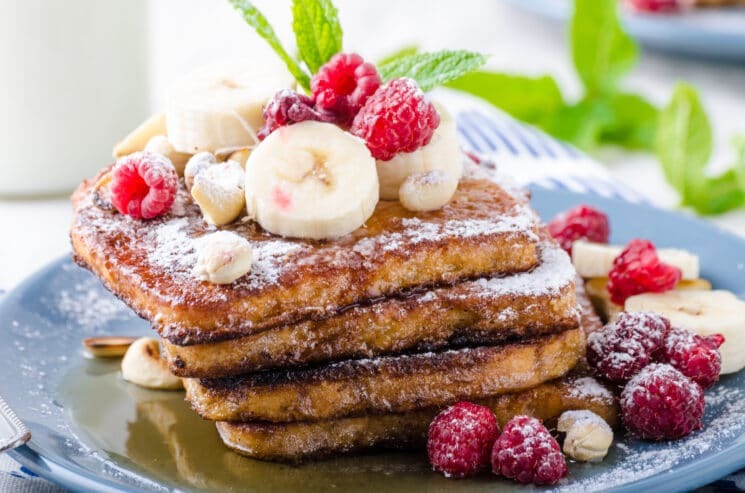 Our Flax French Toast contains whole grains, protein and fruit, so 3 of the 4 food groups! What is the Best Thing to Eat for Breakfast in the Morning? The best breakfast includes foods that give you the different nutrients your body needs for all the things you need to do each day. Kids especially need a good nutrient dense breakfast to help them with school, sports activities, and growing! There is no one single food that can give you all of the things you need and so a meal that combines multiple food groups is ideal! 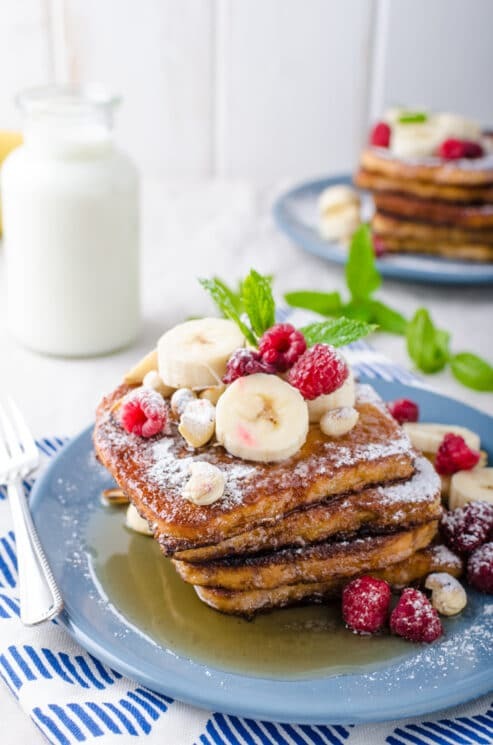 For some really delicious balanced breakfast ideas, visit our breakfast category. One of our favorite things to do, is take a few our kids already love and add a little more nutrition to it. 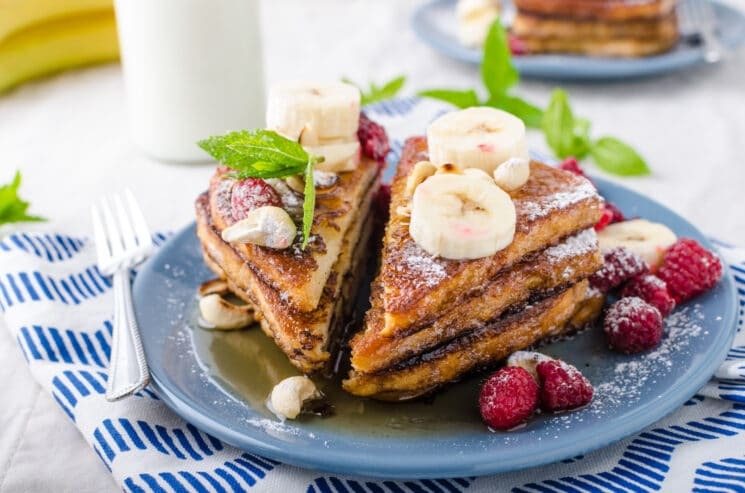 That is what we did with this Flax French Toast recipe. It adds an amazing texture and a slightly nutty flavor to your french toast. How Do You Eat Flaxseed? The interesting thing about flaxseeds is that all of the nutrition is inside. If you don’t chew them up or break them down enough, then they will just go right through your system. Ground or milled flaxseeds, are a great way to buy them unless you have a high powered blender like a Blendtec that will grind them up for you. 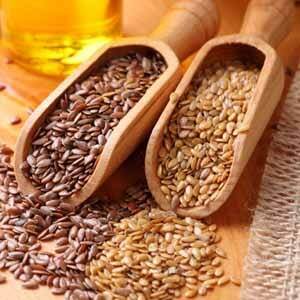 You can also opt for flaxseed oil to replace other oils in your cooking. You can add ground flaxseeds to yogurt, oatmeal, cereal, smoothies, casseroles, and baked goods. How Much Flaxseed Should You Be Eating? The University of Maryland Medical Center recommends adults consume 1 tablespoon of ground flaxseed two to three times a day, or 2 to 4 tablespoons once per day. For young children under the age of 2, it is recommended no more than 1/4 tablespoon per day. How Does Flaxseed Help You? Flaxseeds are tiny, but are packed with a huge amount of nutrition. Flaxseed is one of the richest sources omega 3 fatty acids unique heart health benefits. Flaxseed is an excellent source of both soluble and insoluble fibre, with 3 grams of fiber per tablespoon. Packed full of lignans, vitamins and minerals such as folate, vitamin E, vitamin B-6, copper, zinc, magnesium, and (dry ounce for ounce) more potassium than seven bananas! Flaxseed has been shown to help reduce the risk heart disease, reduce symptoms of inflammatory disorders, protect against some cancer symptoms, reduce cholesterol, and even ease the effects of type 2 diabetes. 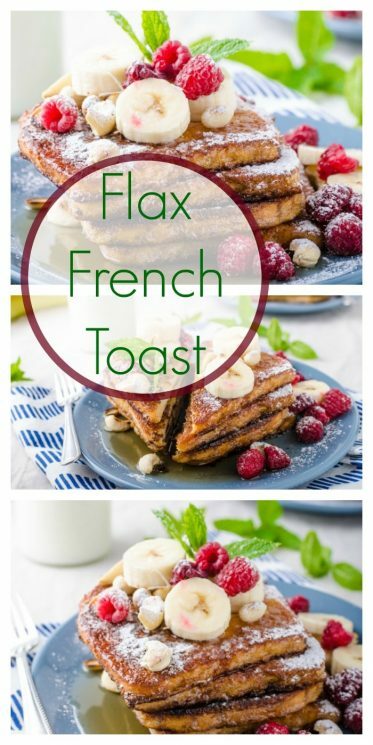 Try adding a little flax to your food and start with this easy Flax French Toast for a delicious and nutrient packed breakfast for your kids! Mix eggs, flax meal, and almond extract in a shallow bowl. Dip whole wheat bread into mixture and soak both sides of bread. Remove from bowl and place on a griddle. Cook both sides until egg is no longer runny and the bread is golden brown. Serve with fresh fruit and pure maple syrup. I love your menu planning and recipes. I just started blogging my family’s adventures in the kitchen – healthy with a bit of decadence. Look forward to reading and trying more of your recipes. Thanks for sharing. we are going to make this this morning! Going to add a little bit of milk to it though! 🙂 Question: What do you use for syrup? 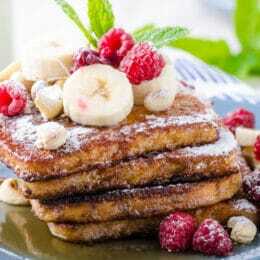 Or topping for french toast? Hi! My child is allergies to tree nuts so I was wondering if there was extract that could substitute the almond extract. Thank you 🙂 love your posts btw!